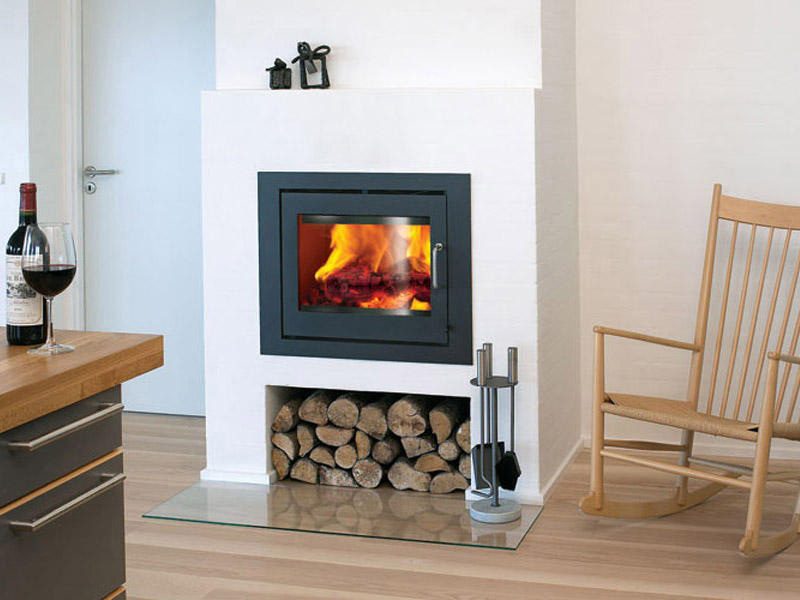 A while back we promised you a post on wood stoves. We really love wood fire and required some kind of fire feature in the house. 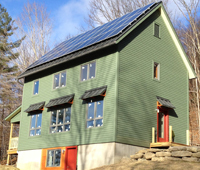 At first we were looking at masonry stoves, but discovered they don’t work well with super-insulated, net-zero houses. Not to mention that they are extremely big and heavy, and we have very limited space. 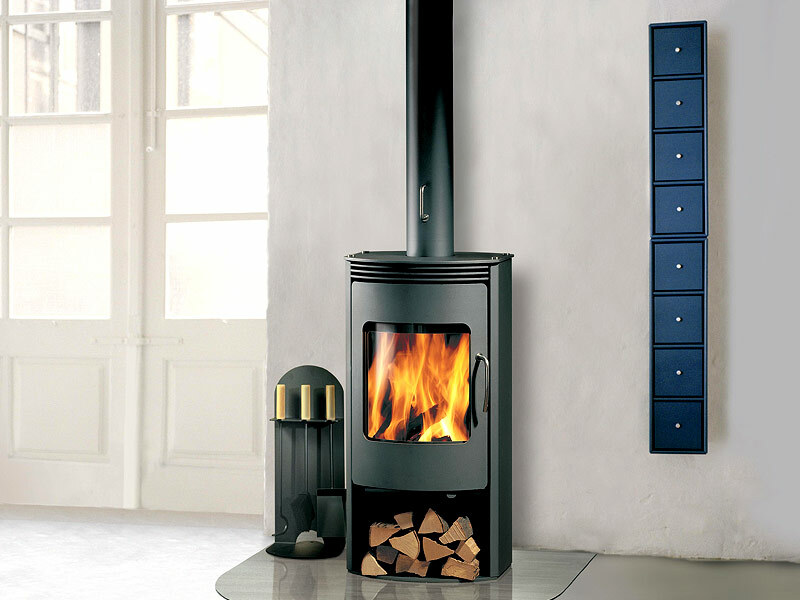 So we started looking at small, high-efficiency, European-style wood stoves. Beautiful, but even the smallest ate up too much space in clearance requirements to fit into our small house design, so we began looking into fireplace insert options to save a few more inches. At this point we started running into problems with its location near the stair, and found our energy consultants were dead set against wood stoves in this type of house for reasons related to overheating and ventilation. We knew they would be, but had hoped they could find some way to make it work. In the end we found a wood stove wouldn’t be efficient or cost-effective… Our two biggest criteria when deciding what goes into the house. It was a very hard decision (over 2 years in the making) but we’ve come to the realization that a wood stove is not in the cards for this house. We will however, have a patio fire pit, and reserve the right to maybe add an interior fireplace at a later date. 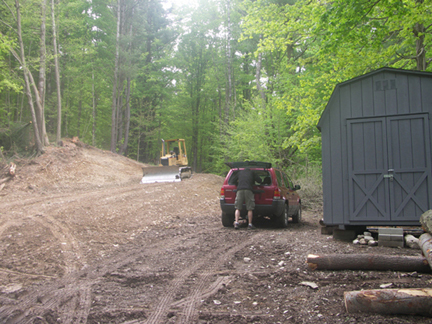 Dozer and dump truck were hard at work this weekend putting down the first course of gravel on the driveway, while we seeded the slopes with grass and then covered with hay to help prevent erosion. We weren’t planning to head up to the cabin this weekend. We had lots to do in the city, but we got word that some progress had been made on the driveway. 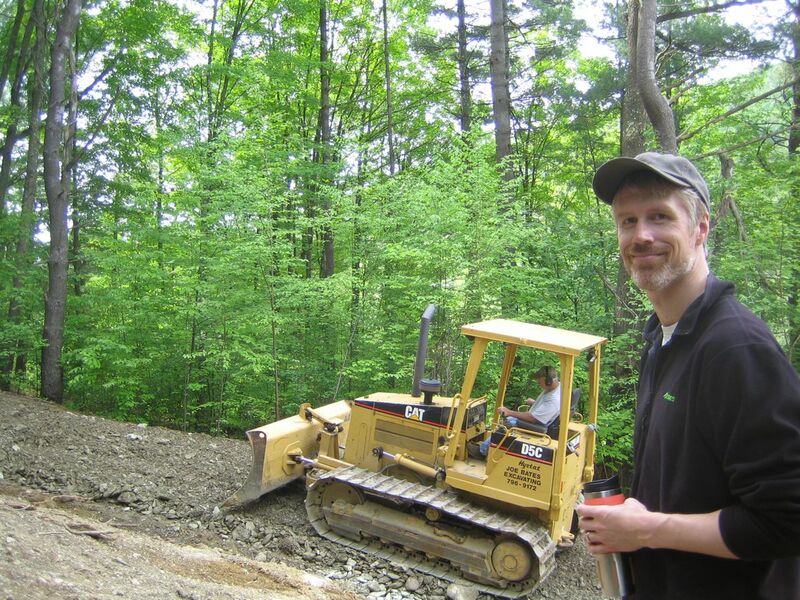 We arrived to find that Joe our excavator had been very busy. It was quite dramatic. 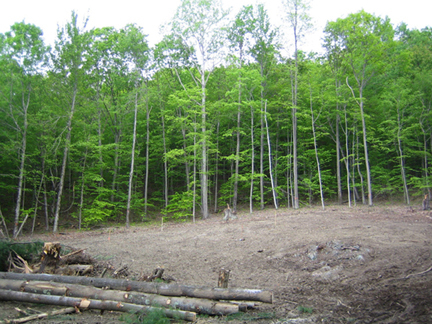 He had also rough smoothed out the site so that we could stake out the house site.